Transport for London (TfL) has committed £ 70m towards an extension of the South London tram network that is planned to run from South Wimbledon through Morden to Sutton. The scheme could cost £ 350m and TfL is now awaiting on Merton and Sutton councils to commit funds towards this project. Plans have been unveiled from Heathrow Southern Railway (HSR) for a new £ 1.2bn railway line which would link Heathrow Airport with trains from Guildford, Farnborough, Woking and London Waterloo. Heathrow connectivity has long been a desire not only for residents and passengers but for business as well. This will enable fast direct and frequent rail access to Heathrow from the south and south-west. It has also been announced that the Elizabeth Line, previously known as Crossrail, would be extended to Terminal 5 at Heathrow providing connections to the West End, the City and Docklands. The New Minimum Energy Efficiency Standards (MESS) regulations confirm that as at April 2018 it will be unlawful for most commercial and residential landlords with an EPC rating of E or less to grant new leases or renew tenant leases. Penalties will apply for non-compliance. In one of the largest single office deals outside of the City and Docklands in the past 20 years, Apple has announced that it is leasing some 500,000 sq ft at Battersea Power Station to initially house some 1,400 staff from eight sites around the capital. The office is scheduled to open in 2021 and will enable the entire team to work together in one of London`s best-known landmark buildings. Apple will be the largest single tenant in the 42 acre complex of homes, offices, shops and leisure facilities. Its new campus will represent about 40% of all of the office space at the power station site. Apple will occupy the top six floors inside the former boiler house around a huge central atrium. The company will be the largest employer in Wandsworth and the decision to relocate there will be a huge boost for the local economy. The Grade II listed former power station on the banks of the River Thames has previously been vacant for 33 years but is now being regenerated into a new landmark multi-use complex. A new Zone 1 Northern Line tube station is being built to serve Battersea Power Station and is scheduled for completion in 2020. The current owners of Battersea Power Station are a consortium of Malaysian shareholders, Sime Darby, SP Setia and the Employees Provident Fund and they have been committed to the project since they bought it in 2012. Hundreds of residents expect to move into the first completed apartment block – known as Circus West – in early December with shops and restaurants there scheduled to open next Spring. 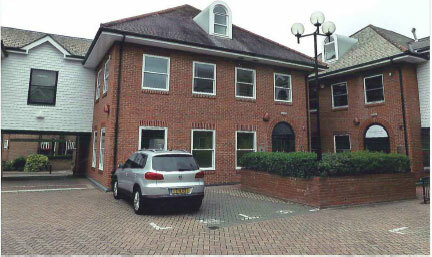 Acting on behalf of a local firm of architects, Omega Partnership Ltd., Michael Grieveson and Company has acquired a new lease on a newly refurbished office building at 6 AC Court, High Street, Thames Ditton, Surrey from Threadneedle Property Unit Trust. The building comprises some 2,700 sq ft of high-quality space over three floors plus 12 car spaces in an attractive courtyard setting close to all amenities and Thames Ditton station with its regular links to London Waterloo. Following some fitting out works to the accommodation, Omega Partnership Ltd has now taken occupation of the premises having relocated from their previous premises in Claygate.